Hi everyone! 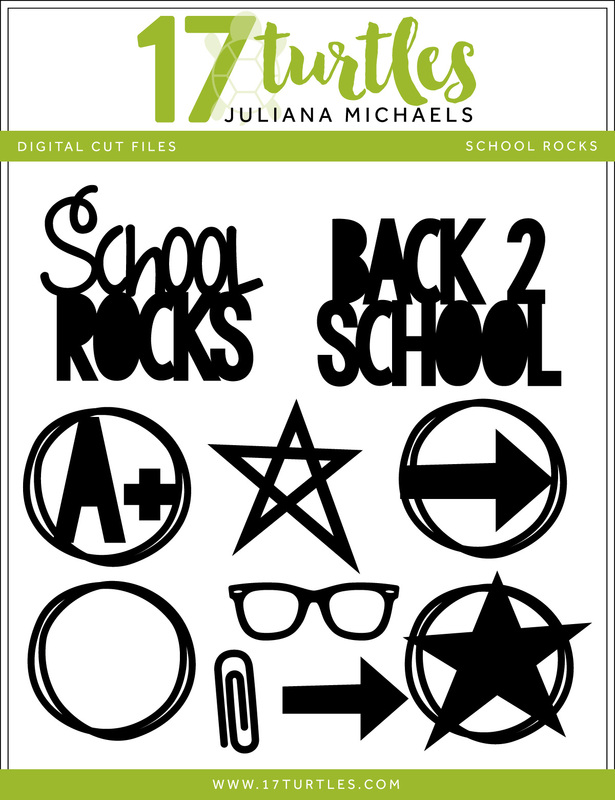 Just popping on today to share a couple of back to school digital cut files for all of you with kids heading back to school soon. I don't have any children of my own, but I thought it would be fun to create some fresh and fun designs for you all to use as you capture their memories this school year. In fact, some of them could be used for more than just school related projects if you ask me! For those of you having trouble downloading my files make sure you click the Download button at the top left hand side of the screen. The ones next to the actual files won't work unless you have a Box account, and you don't need one if you click on the one at the top! Hope this helps! As always, these free cut files can be used with a variety of electronic digital cutting machines to create a full range of projects, including cards, home decor, scrapbook pages and more. The only limit to what you can create using this cut file is your own imagination. This digital file is available in SVG, PNG, DXF and Studio formats and you may download this digital cut file for your own personal use. If you have questions, concerns or comments about my cut files, please leave me a message in the comment section or contact me on Facebook. If you enjoy these free digital cut files, make sure to let your friends know about them too! Enjoy and happy crafting! I love my Silhouette Cameo! How about you? Thank you so much for the new cut files. Always appreciated! These are super cute! I am getting ready to send my kids to school next week. These are awesome! I'm a teacher and would love to use them, but I can't seem to download them. When I click download, nothing happens. I LOVE MY CAMEO... and My awesome hubby just got me Curio... I cannot wait to try this machine with thicker materials. 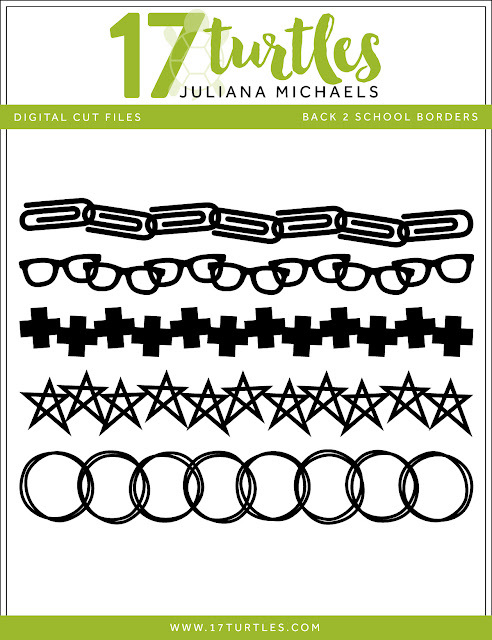 THANK YOU so much, Juliana for the free cutting files! Thanks so much for these files! I especially love the borders. Cool stuff! Thanks so much! I still can't get them to download either. I've updated the post after looking into this difficulty a bit more. Try clicking on the Download button at the top left hand side of the screen. You should have no problem downloading the file if you click there. It seems you have to have a Box account if you want to click on the one by the actual file. But you do not need an account if you click on the one at the top. I hope this helps and I apologize for the trouble! Fabulous Back To School cut files...thanks so much for sharing!!! Thanks Juliana! Just what I was looking for! And the button on the top left worked fine! Love the awesome spooky background on your card! The cut files are wonderful also. Thanks so much!! Super cute cut files! Thanks so much! !